Last Chandra Grahana (or Lunar Eclipse) happened on the 4th April'2015 in Kanya Rashi (Virgo zodiacal sign), in Hasta Nakshatra in time period from 9:01a.m. to 2:59p.m. (Greenwich Time) with eclipse's maximum at 12:01p.m. (Greenwich Time). "Grahana" means eclipse of a Graha (a “planet” if translated from ancient Sanskrit). It is a moment when a shadow planet (Chaya Graha) devours Surya Graha (Sun) or Chandra Graha (Moon). 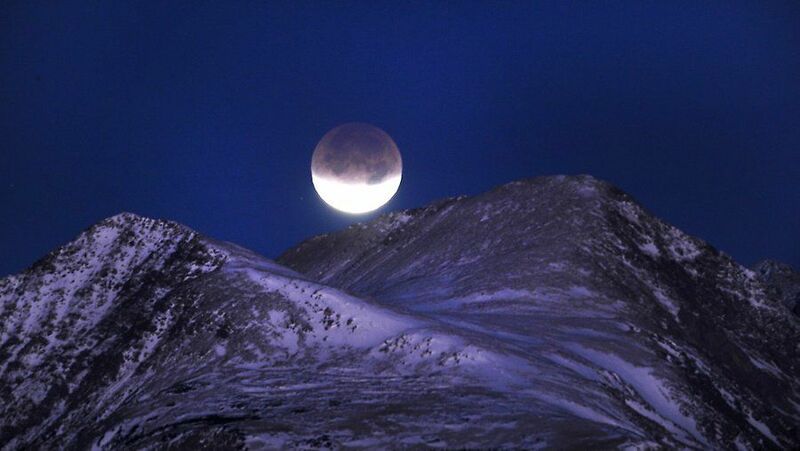 Recent Lunar Eclipse of the 4th of April was caused by Rahu (or so-called Northern Node). Tremendous amounts of energy is released during Chandra Grahana. Eclipse always launches very important events in people lives, which will eventually transform their minds (as Chandra is Karaka of mind). Lunar Eclipse always falls on Poornima or Full Moon Day - a day when Sun and Moon are positioned directly opposite to each other in exactly same degrees of opposite zodiacal signs. During "normal" Poornima Moon receives Sun light in full measure and reflects it back in full measure too. In case of Grahana, Earth is positioned right between the two luminaries, stopping Sun's light rays from reaching Moon. Chandra is Karaka of comfort and peace of mind (Manas). Rahu is like heavy fog or mist. It causes lack of clarity, confusion, obsessions and total unpredictability. During Chandra Grahana mind is completely overturn by Rahu and cannot function logically. Confusion creates such circumstances (Samskaras) and problems, which resolution will cause transformation of the mind leading a person closer to salvation (or Moksha as it’s called in Sanskrit). Chandra or Moon symbolizes Mother and female energy in a broader meaning. It indicates a condition of Earth as home for mankind. Thus Lunar Eclipses usually cause natural calamities, especially involving water as Chandra is Karaka of Apas or primary element of Water. Chandra symbolizes an individual mind (Manas) too. That's why Chandra Grahana heavily influences behavior of people, weakening their ability to understand what's going on around them as well as to prioritize and plan their actions. While Rahu casts its shadow on Moon, it has a total control over Manas. It activates negative Prarabdha Karma, especially Dridha Prarabdha Karma – Karma that is beyond man's control. All these factors combined destabilize and overload nervous system of a person and thus his/her emotional state. On a bigger scale Chandra Grahana has negative impact on large groups of people, masses, crowds and society. As it brings out Dridha Prarabdha Karma, it causes unrest and heated arguments within these groups. Chandra is Karaka of Ojas (an ayurvedic term that stands for "energy that lies in base of human physical body state"), so Chandra’s eclipse lowers person’s energy level. Especially it concerns women as Chandra is Karaka of women. As for men – their health worsens more during Surya Grahanas. According to Vedic tradition, all temples (except Shiva temples) must be closed during Chandra Grahana. People are strongly recommended to recite certain Mantras to protect themselves from negative energy of Rahu/Ketu. One should not look at Moon during eclipse as well as 7 days before and after it, because eclipse symbolizes victory of darkness over the light. If one looks at the eclipse, his/her mind and conciseness become open and vulnerable to the force of Chaya Graha. Without adequate training and proper protection, one might fall victim to Rahu/Ketu. It will make a person to take wrong decisions followed by wrong actions. Time of Grahana is considered extremely inauspicious. Any action started in Grahana period will give negative results and create further problems. This is a period for Dhyana (meditation). It will help you to calm and clear the mind as well as to get rid of some unnecessary attachments of the Past. Be very cautious of Your thoughts and desires during Chandra Grahana period as it’s an obsession time.